Sun Metals Corporation (SMC) is the operator of the Sun Metals Zinc Refinery located 15 Kilometres South of the Port of Townsville. SMC is the Australian subsidiary of Korea Zinc Company Limited (the world’s third largest producer of refined zinc, producing 10 per cent of the worlds metal from plants in Korea, the US and Australia). • Bulk storage and stevedoring of zinc ferrite using half-height containers. The SMC Zinc Refinery, consumes over 470,000 tonnes of zinc concentrate per annum, 270,000 of this is imported from Alaska and South America with the balance sourced domestically. The refinery produces 250,000 tonnes of zinc metal per annum which takes the form of slab ingot and strip jumbo. Apart from zinc, SMC also produces sulphuric acid as a secondary product, which is then sold to clients for use in the production of fertilisers and other industrial uses. Other by-products including zinc ferrite and copper are also produced and sold to the international and domestic market. By utilising worlds best technology, which its parent company is renowned for, the refinery produces a special high grade of zinc metal which meets stringent quality standards required under its registration at the London Metal Exchange. As one of the world’s largest and most refined plants, the Townsville site employs more than 350 people and is uniquely located to take advantage of its proximity to the Southeast Asian market, abundant raw materials and skilled labour. The plant also enjoys direct access to the Port of Townsville, reducing transport costs and lead times for both Sun Metals and its customers. Prior to 2010, SMC operated with a fragmented supply chain instead of utilising a fully-integrated service provider. The impact of this model of using multiple logistics operators was higher cost for each stage of the export supply chain and mounting logistical challenges and delays while coordinating multiple service operations. SMC commenced production in November 1999 after 18 months of construction and engaged NSS’s stevedoring services from the beginning. 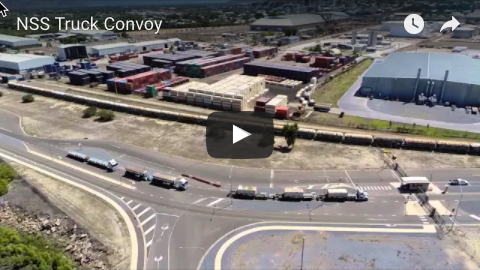 However, its supply chain was fragmented and in 2010, SMC decided to tender out its transport, logistics and stevedoring requirements with a view to reducing costs and improving efficiencies. NSS’s service offering consisted of providing SMC with a one-stop shop, an integrated service which would encompass all logistical services from the refinery production line to the vessel. NSS’s proposal would reduce the number of companies involved in this operation from three to one and provide significant savings from day one. 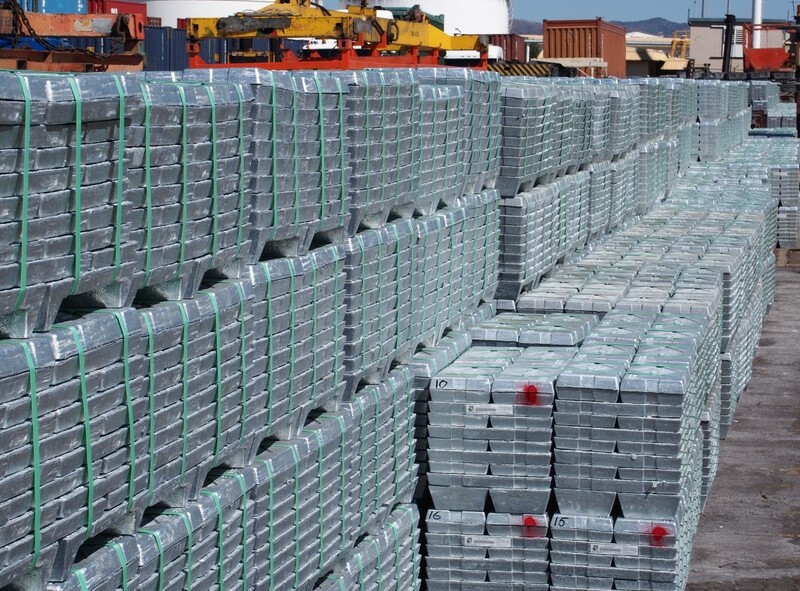 Today, NSS stevedores annually for export over 250,000 tonnes of refined zinc along with an additional 200,000 tonnes of bulk zinc ferrite. Since the initial services were awarded to NSS, the range of services undertaken has expanded to include the management and load out of the refined zinc at SMC’s refinery and the transport and loading of bulk zinc ferrite. Due to the diversity of Sun Metals’ products and logistics requirements, NSS provides a fully-integrated logistics solution, including refinery warehouse, transport, packing, stevedoring and securing of refined zinc metal. NSS also discharges imported zinc concentrate onto trains and manages the loading of bulk zinc ferrite. 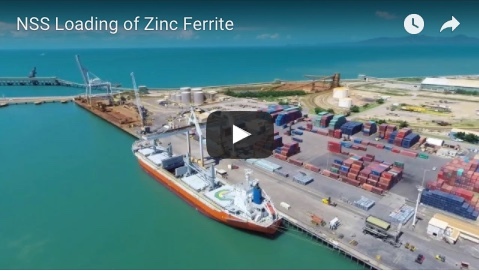 By using quality infrastructure and technology including A-Double trailer sets for transportation products between the port and refinery, the tonnage per truck movement between Sun Metals and Townsville Port was increased by 30 per cent, transporting up to 1000 tonnes of refined zinc per day. Recently, NSS also commenced a new service involving containerised bulk zinc ferrite, utilising half-height containers and new Rotabox™ technology to transport, store and load bulk ferrite in half-height lidded containers. This service was put in place by NSS to provide an interim solution until a new state of the art bulk shed is built. Once built NSS will transport bulk ferrite from the SMC using side tippers. The ferrite will be stored in the shed until a shipment parcel is accumulated. The bulk ferrite will then be transported from the shed to the vessel in a small number of half height containers and loaded into vessel using the Rotabox™. In 2011, NSS was selected as a finalist in the 16th Annual Lloyd’s List DCN Shipping and Maritime Awards for the service provided to Sun Metals, cementing their position as a quality stevedoring and logistics service provider. Since working with Sun Metals, NSS has streamlined the logistics process, analysing and removing inefficiencies from the process, while also delivering an overall integrated supply chain solution. 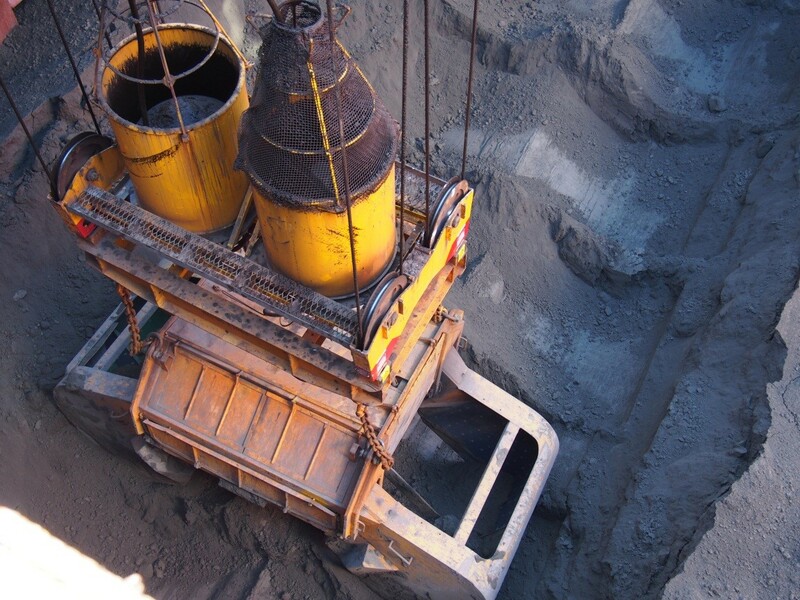 By undertaking all services, total landslide logistics costs have reduced significantly, while supply chain effectiveness is significantly improved by minimising potential interface inefficiencies.